The freestanding WhiteWall Acrylic Block stands stably on any flat surface. The crystal clear acrylic enhances colour and contrasts, and it gives your photo an impressive 3D depth effect. 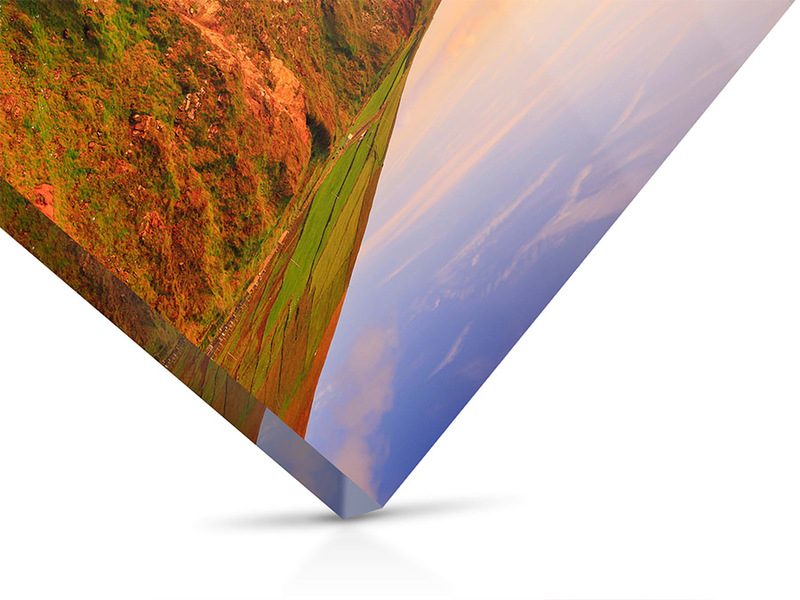 Nearly 25 mm of acrylic glass is the perfect way to emphasize your photo’s brilliance. Like our classic Original Photo Print Under Acrylic Glass, we use crystal-clear, shatterproof acrylic with UV protection for a stunning depth effect. Precise details are also visible through the block’s transparent sides. The Acrylic Block is a sturdy design object and an ideal photo gift. We use state-of-the-art laser exposure systems coupled with Kodak Pro Endura photo paper. This means your photo is extremely crisp and vivid. 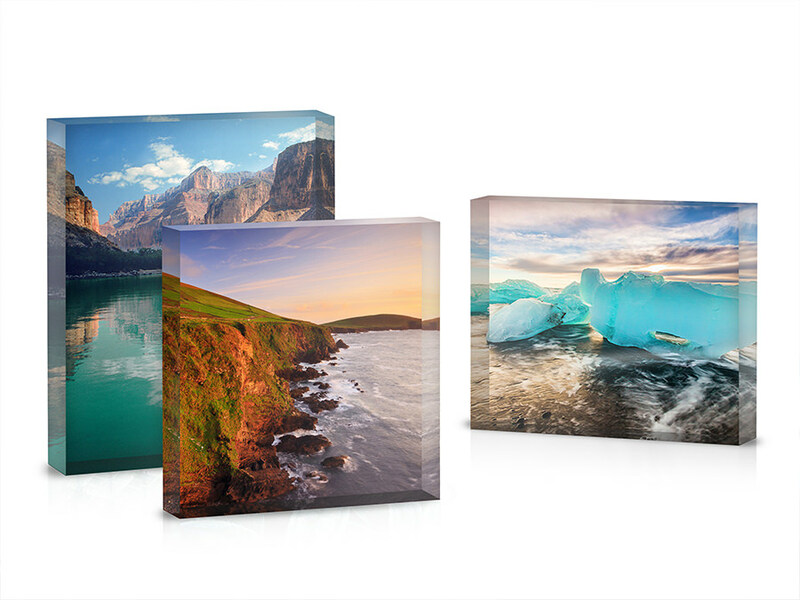 25 mm of acrylic glass protects your photo print and provides a striking depth effect. A photo gift with physical presence, perfect for friends, relatives, or yourself! A distinctive feature of the WhiteWall Acrylic Block is its white backing. Completely opaque, it prevents even the brightest light from shining through. This subtle feature boosts your photo’s impact as it stands on desks and shelves. Portrait, landscape, or square. We make your Acrylic Block in the format you want. 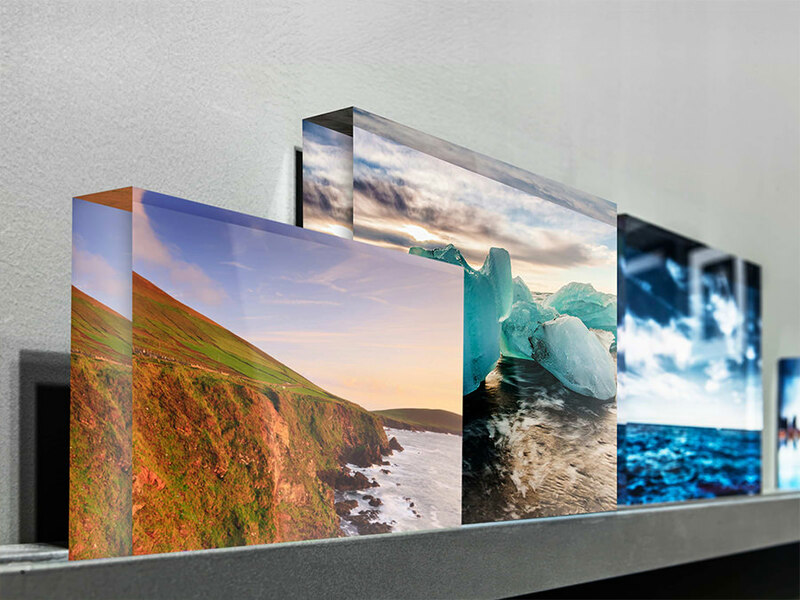 Let our bestselling formats inspire you and chose the perfect size for your home, office, or for an unforgettable photo gift! The Acrylic Block doesn’t need any additional supports, stands or hardware. Present your Acyrlic Block on your desk, shelf, or any flat surface. They also look great standing freely in a room. Enjoy the premium quality you’re accustomed to from WhiteWall’s Original Photo Print Under Acrylic Glass and the revolutionary ultraHD Photo Print Under Acrylic Glass. 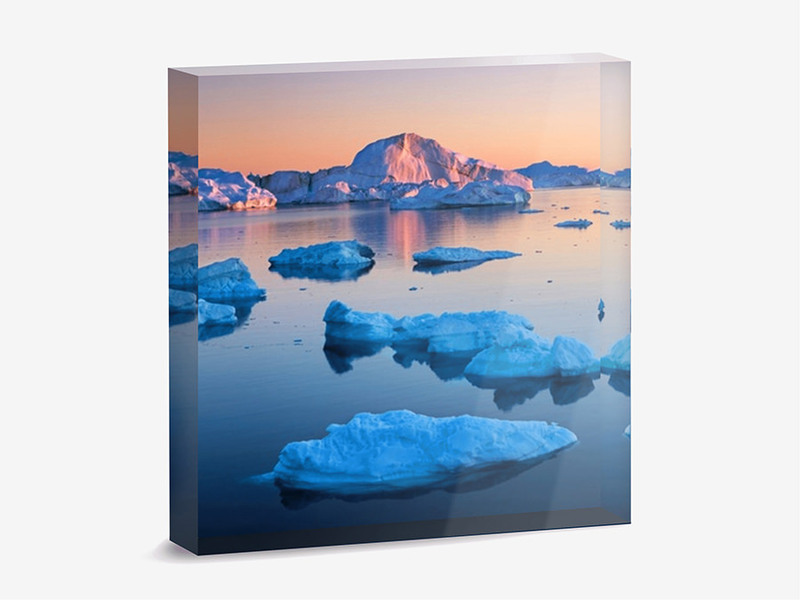 The WhiteWall Acrylic Block has all the characteristics that make our Original Photo Print Under Acrylic Glass and Acrylic Glass Stand so popular: it is crystal clear, light, and shatterproof. On top of that, the 25 mm thick glass guarantees and extreme depth effect and colours that pop.